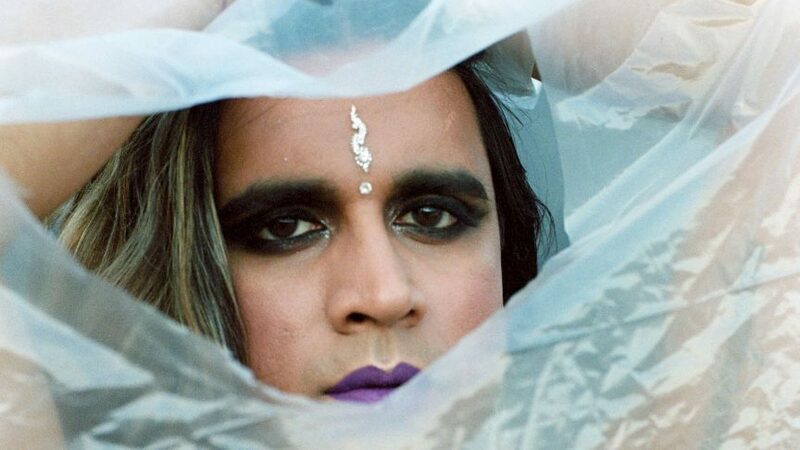 Over the course of her career as a writer, visual artist and musician, Vivek Shraya has established herself as a prolific new voice to Canada’s artistic landscape. Her work—whether it be one of her books (I’m Afraid of Men), films (What I Love About Being Queer) or photo essays (Trisha)—often interrogates the experience of living as a trans person of colour, the effects of toxic masculinity and the joys of queerdom. According to Shraya, she’s been drawn to the arts since childhood and they began to dominate her life as she grew up. “Art classes in elementary, junior high and high school were very formative for me because they were a space to explore,” she said. In the midst of promoting her next release, Death Threat, Shraya has been selected to curate the School of Fashion’s 2019 Mass Exodus, an annual event meant to give a platform to and present the work of graduating fashion design and communication students at Ryerson. For Shraya, however, the position is largely an opportunity to learn from and celebrate the designers of the School of Fashion, rather than as a means for her own self-expression. One of Shraya’s main responsibilities as curator will be to lead in the selection of looks for Mass Exodus’ final curated runway showing. “That’s sort of where I’ll be stepping in a bit more to be selecting from the fashion shows earlier in the day,” she explained, quickly nothing that she is often drawn to fashion that is unpredictable or surprising. In an email, Chair of the School of Fashion Ben Barry cited Shraya’s extensive history of exploring decolonization, sustainability and inclusion as a key reason for her selection as this year’s curator. “She is an iconic Canadian artist and academic who demonstrates how creatives can draw from their own identities when they develop their work,” Barry said. Shraya said she ultimately hopes to highlight the designers who—much like herself—push up against the traditionalist walls of the medium. Mass Exodus will be running this year from April 4-6 at Daniels Spectrum.